Engagement rings come in all shapes and sizes. Traditionally, the diamond was indeed the rock of choice for a bride-to-be, but with the trend towards different stones such as emerald, sapphire and diamond's first cousin moissanite (which looks like diamond and scores an impressive 9.25 on the Scale of Hardness) many couples are moving away from the quintessential wedding gem. And while a lot of couples will chose their engagement ring together, some question poppers go it alone and take a risk on something they hope their other half will love. One woman whose partner did just that, decided to go big or go home, choosing a huge rock that the woman admits is very eye catching due to its size, and gets a lot of attention. "I don’t have expensive things, never have, it’s always made me cringe the thought he has spent so much on a ring," the woman wrote on Mumsnet. "A few weeks ago someone said it must be €15-20k worth of diamond!" "It felt wrong when we have struggled for money and we have friends and family around us struggling to make ends meet. Although I was obviously happy to be engaged I’m not really the attention seeking type and I’ve always felt embarrassed at the huge amount of attention this ring gets." 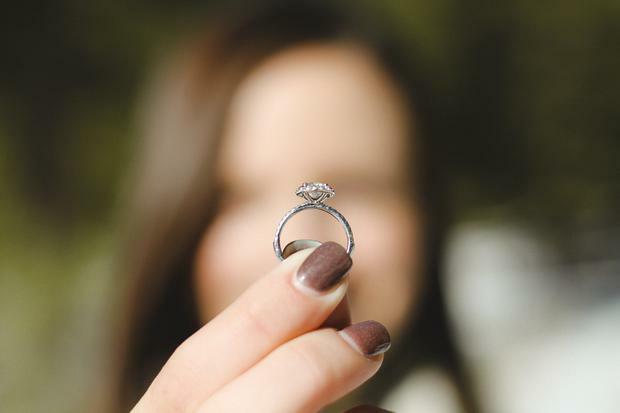 After so many comments from friends and acquaintances about how pricey her diamond must have been, the woman began to consider taking out insurance on it, which her husband said he would look into so that she wouldn't see how much he spent. However after a friend's dinner party, where a jeweller pal made a 'huge fuss' over the ring and had a good look at it, curiosity got the better of the woman, and she decided to look her engagement ring up. Which is when she discovered that the ring wasn't exactly what she believed it to be. "I know the name of the store so I just looked it up, found the exact ring and it’s cubic zirconia," said the woman. "It's still lovely and it is expensive although obviously not £15k expensive." "I feel a bit uncomfortable now wearing a massive flashy attention seeking fake ring and pretending it’s a diamond," said the woman, "I don’t know much about diamonds, obviously! However other people do and I feel a bit embarrassed to wear it now I know." The woman then asked posters on the forum whether she should ask her husband about the ring or forget about it and continue wearing it. 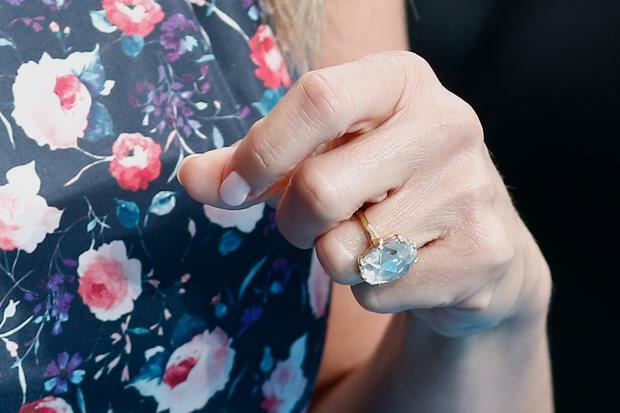 "I don’t know how much my husband knows about jewellery, perhaps he saw it was sparkly and assumed it was a diamond or more likely he has lied about it this whole time," she said. "He has always said it is a diamond and made comments about how much it set him back." "It really doesn’t matter most people won’t ever get close enough to your ring to know if it’s a real diamond or not and the average person wouldn’t tell if it was real or not anyway," said one commenter, pointing out; "you like the ring, you’ve been happily wearing the ring so carry on!" "I would want to know," said another. "When I was looking at rings, I wanted to get the balance between a decent size without looking fake by being too big." One poster commented on how rude friends were to have speculated about the cost of the ring in the first place, with another asking why, because it was a diamond, the original poster believes that the ring is a 'fake engagement ring'. "My ex did this to me," one person said. "I was incredibly embarrassed by it. I'd have been much, much happier with a non-diamond looking ring, I've never liked diamonds. But also the lying made me feel like he thought I was stupid." "I would bet you it was a lie that has spiralled out of control," said another poster. "He bought it, you assumed it was a diamond and he didn't know how to break it to you that it wasn't real. And as more and more people have commented on it being an expensive diamond, the more awkward he's felt. "As long as I liked the ring, the fact that it's not a real diamond wouldn't bother me. I would speak to him and tell him I knew it was fake, though. There's no need to let this carry on forever." Karen Birney A photo of a bridal boutique which used a mannequin bride in a wheelchair in their window display has gone viral, with the shop being commended for its portrayal of different physical abilities. Karen Birney For many families, weddings can dig up a host of issues from the past that until the invites go out, had simply been left to simmer under the surface as people get on with their day-to-day lives. THEVOW.ie A bride has polarised opinions over her decision to ask a couple to leave her wedding after they brought their children when she stated she wanted a child free event. Poll: Are Christmas weddings a 'burden' for guests?